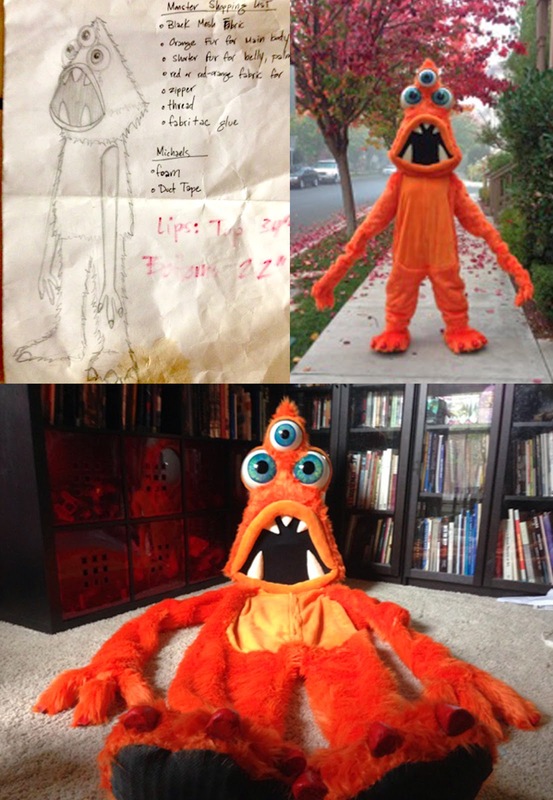 In November 2013, I was contacted by a comedy troupe called "Keep the Heat", who commissioned me to make this Orange Monster costume for them. They wanted the head to be very triangular with large eyes. The mouth is black mesh for the wearer to see out of, and the arms are elongated with foam hands attached to poles to manipulate their movement. I had a lot of fun making this one!